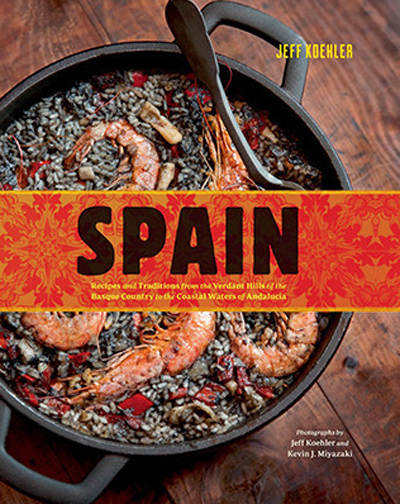 As Koehler writes in the book, this oxtail dish hails from Extremadura and Andalucia. 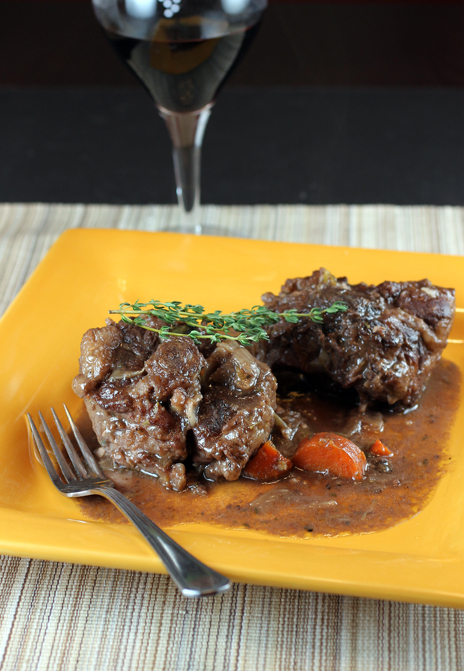 The oxtails braise for hours with plenty of red wine, brandy and herbs until the meat starts to pull away from the bones and the sauce thickens. It’s a straight-forward, throw-everything-in-the-pot dish that requires little attention until it’s done. It’s the best kind of cooking on a winter night in a brand new year. As your butcher to cut the oxtails into 1 1/2- to 2-inch sections, separated at the joints so the bones don’t splinter. In a cazuela, large saute pan, or deep skillet, heat olive oil over medium-high heat. Season the oxtails with salt and pepper and lightly dredge in the flour, shaking off the excess. Working in single-layer batches that don’t crowd the pan, brown the oxtails, turning as needed, 6 to 8 minutes per batch. Transfer to a platter. Add leeks, onion, carrot, and garlic to the cazuela and cook until the leeks and onion are tender, about 10 minutes. Pour in the brandy and, as the alcohol burns off, return the oxtails to the pan. Pour in the wine and 3 cups water. Add thyme, bay leaf, and nutmeg. Bring to a simmer, reduce heat to low, and simmer uncovered until the meat is very tender and comes away from the bone in whole pieces without breaking, 3 to 4 hours. Add more water as needed to keep the sauce moist and loose. 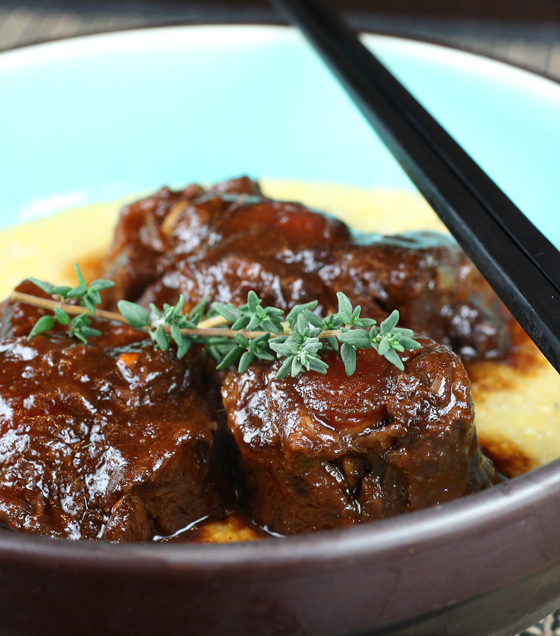 Remove the pieces of oxtail and pass the sauce through a food mill, if desired. Return the sauce to the pan along with oxtails, and loosen with a touch of water if necessary. Reheat sauce and oxtails until very hot. Serve immediately.